Khoresh Bademjan is a divine Persian Eggplant Stew made with either beef or lamb. Spelled either Khoresh or Khoreshet in Farsi, the word means Stew. 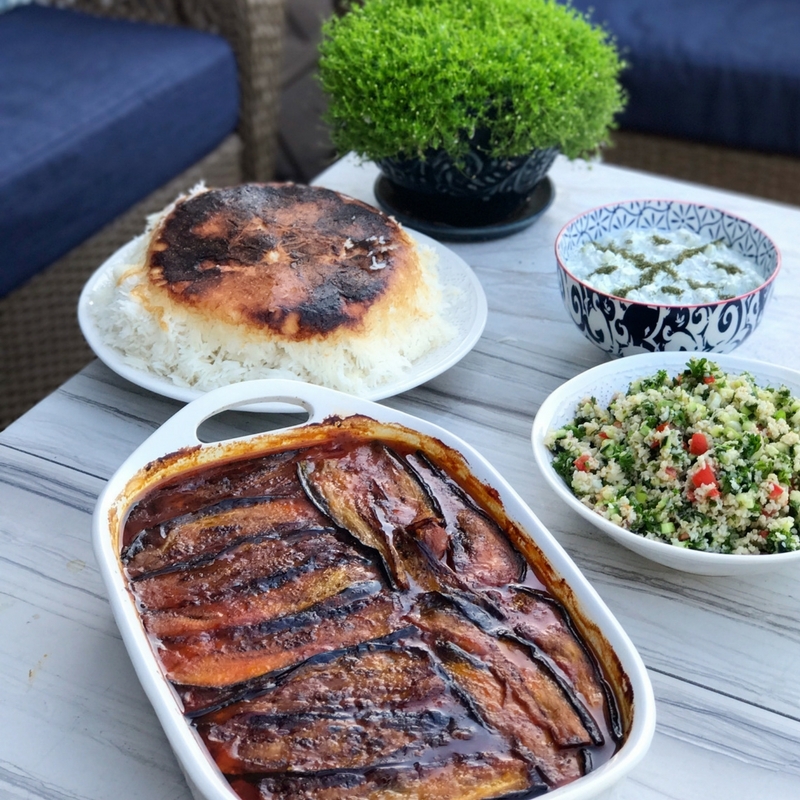 Bademjan means eggplant and combined with a few other ingredients, this combination makes a mouth-watering meal that will please even the pickiest eater in your family. In fact, my 15 year old daughter, Isabella, will not go anywhere near an eggplant, yet when this dish came to the table, she asks for seconds before the rest of us can even finish our plate. 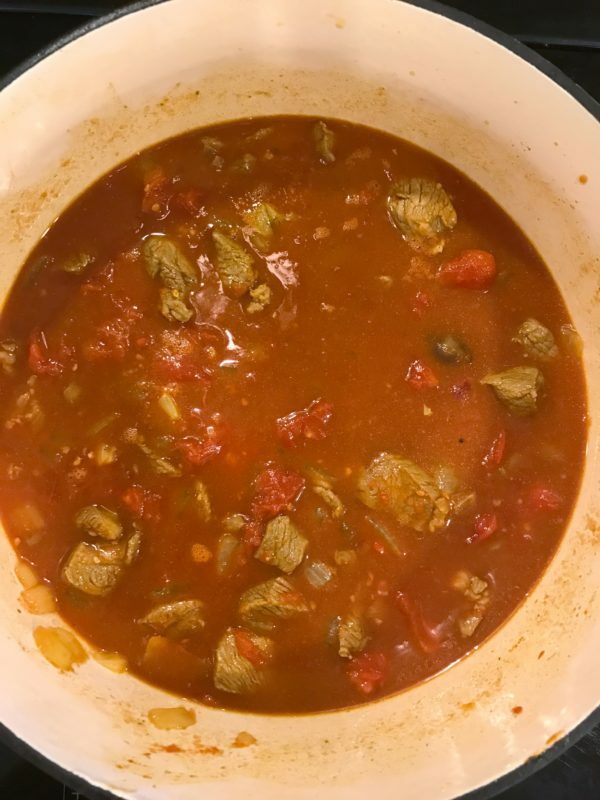 I learned how to make Koresh Bademjan from my beautiful friend, Shaya, who was born in Iran and moved to the United States many years ago .Shaya has a special gift for turning a few simple ingredients into a Persian feast. I enjoy her style of cooking because although she uses a number of traditional Persian spices and herbs, her food is always seasoned perfectly so the flavor of the food is enhanced rather than lost in the cooking process. What I enjoy most about this Khoresh Bademjan recipe is the ease of making it. Sometimes a recipe can seem overwhelming, especially if it’s from a culture unfamiliar to the cook. This recipe, however is relatively simple to make, it uses basic ingredients, and you can have an impressive authentic Persian meal on the table in about an hour and a half. The best part of this recipe is that most of that cooking time is hands off, so that gives you plenty of time to make a delicious salad like my Salad Shirazi, whip up a bowl of Mast-O Khiar (cucumber and Yogurt Dip), and sip on a glass of your favorite wine while the Koresh Bademjan is baking. در اینجا به یک وعده غذایی بزرگ است! Here’s to a great meal! 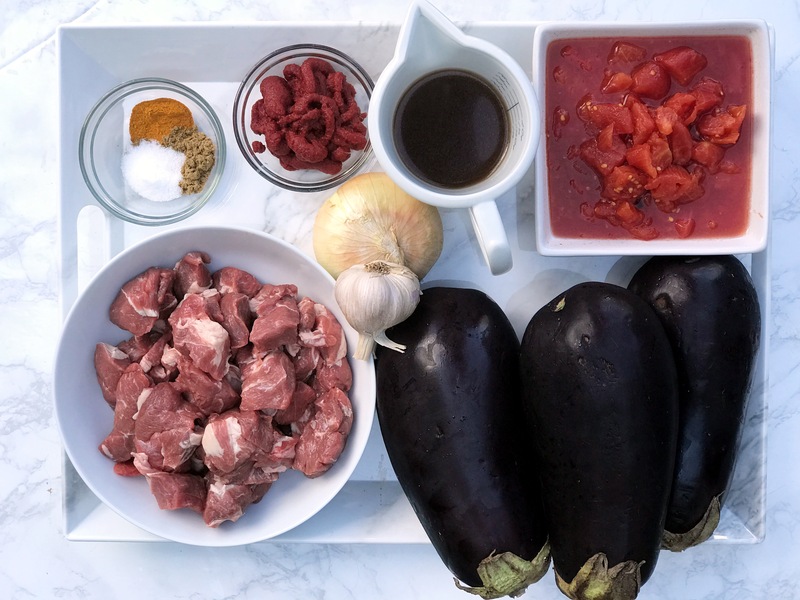 A traditional Persian eggplant stew with beef or lamb. 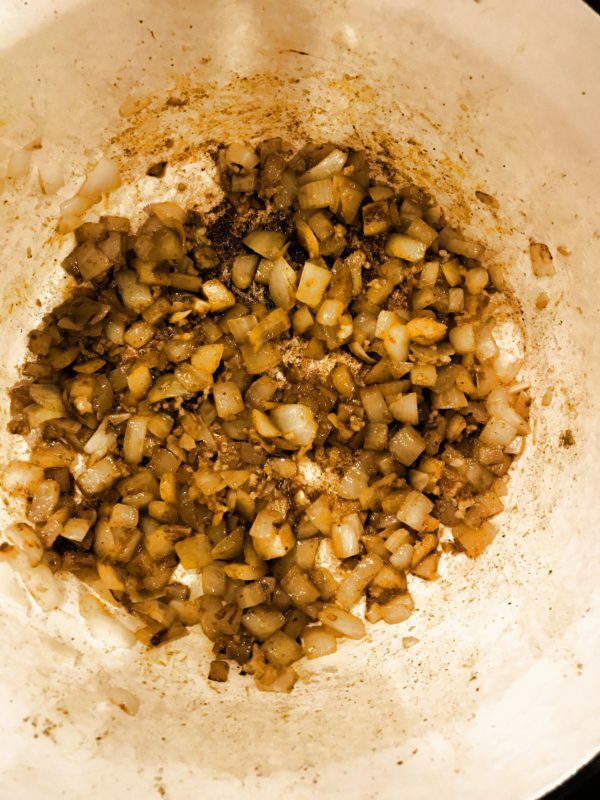 In Dutch oven or large pot, heat 1 tablespoon butter over medium heat until melted. 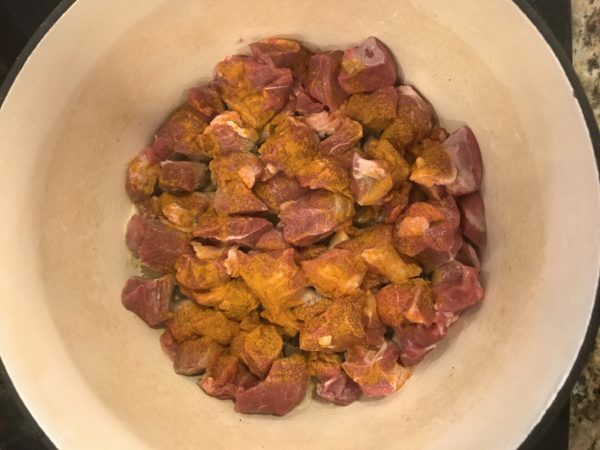 Add meat and 1/2 teaspoon turmeric, browning on all sides. Transfer meat including it’s juices to a bowl and set aside. In same pan, heat remaining 3 tablespoons butter, onions, garlic, cumin, salt and remaining turmeric, sautéing until onions are translucent. Transfer meat and it’s juices back into pan along with tomato paste and crushed tomatoes. Stir to combine before adding broth and 1 cup water. Cover and simmer on low heat 30 minutes. Prepare eggplant by heating 3 tablespoons olive oil over medium heat in wide skillet or deep non-stick pot. Brown eggplant on both sides in batches, adding more oil as needed. Remove eggplant, place on paper towel and set aside. 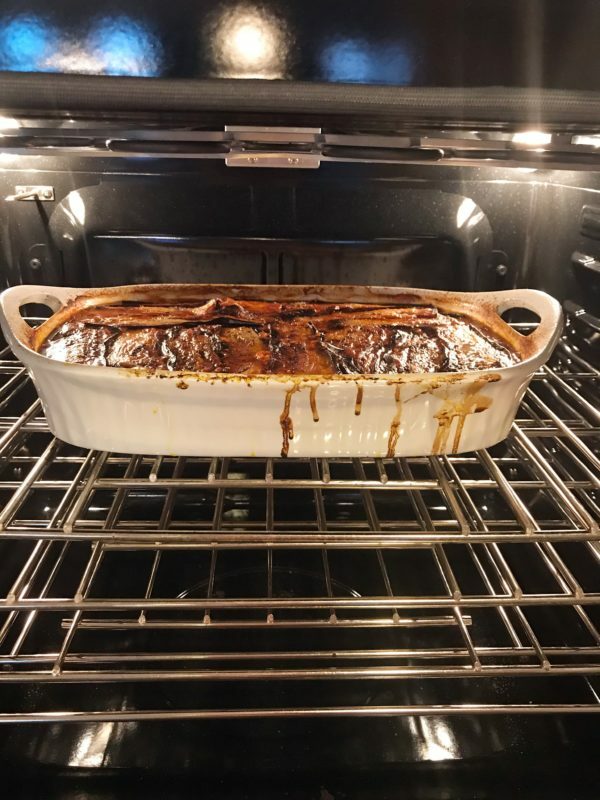 Remove cover from stew pot, transfer stew to an oven proof baking pan, gently lay eggplant on top of stew, cover and transfer pan to oven. Bake 45 minutes, uncover and bake an additional 15 minutes. Remove from oven and serve immediately. Serve with basmati rice. - Khoreshteh Bademjan is a traditional Persian stew that is served with Basmati rice, Salad Shirazi and Maast O Khiar. 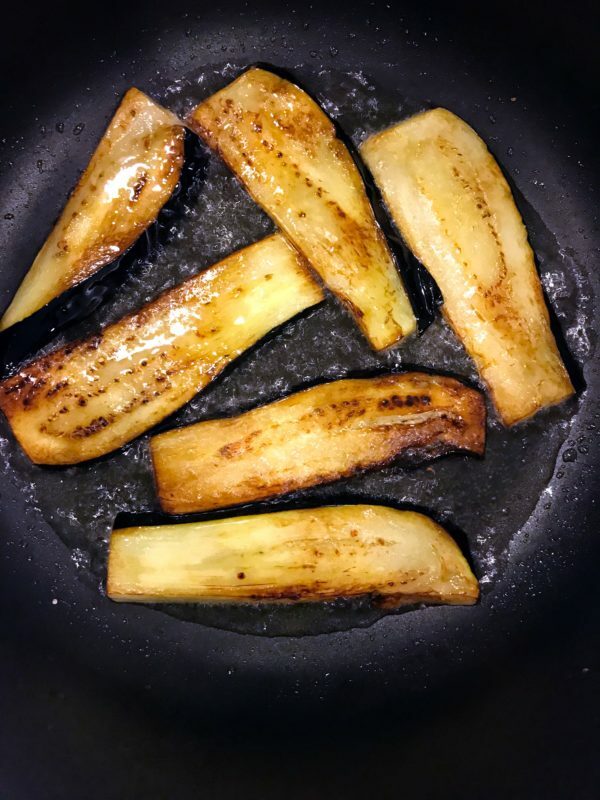 Trick of the Trade: Brush eggplant slices with beaten egg whites before frying to prevent oil from saturating into eggplant.